Folding bikes are an excellent way of getting around with their small size making them convenient for commuting, caravanning or simply for those with minmal storage space at home. Don’t be fooled by the small wheel size or the short frame, these bikes are more than capable on the road or cycleway and ample adjustability makes them suitably comfortable for a wide range of riders. Converting them to electric bikes can raise a couple of challenges though, most notably in getting a model with suitable forks and enough space to mount a battery. The XDS City Folding is an ideal solution! Not only is it equipped with quality parts and accessories but it also has a suitable strong fork to accommodate a front wheel motor as well as adequate clearance to fit a Solarbike seat post mounted battery. As a result, no compromises need to be made when it comes to the folding function of the bike. We set these two up over the weekend. They feature a 200 Watt front wheel mini motor coupled with a Panasonic 36V 9Ah seat pole mounted battery that should give a top speed of 28km/h to a maximum range of between 30 and 35 kilometres. What’s more, their modest price tag of $1700 each make these bikes a great value option- one of the most cost effective quality electric bikes out there. 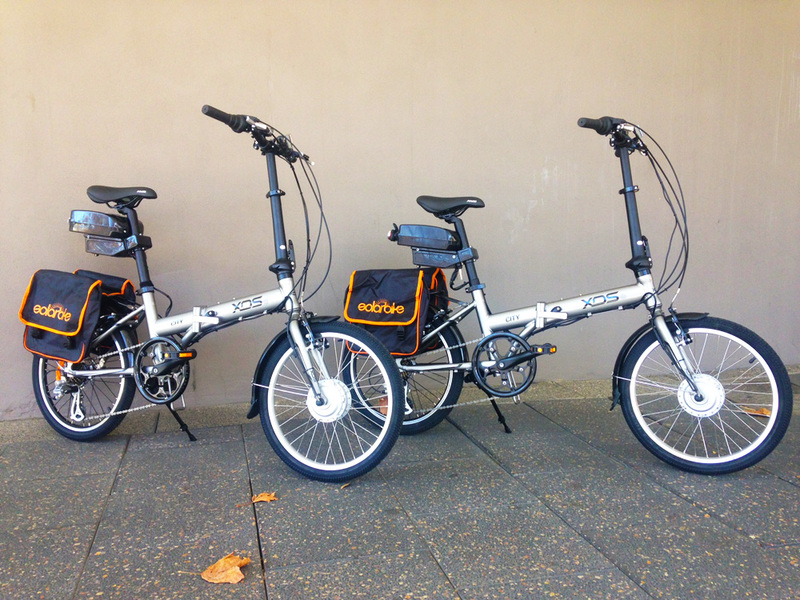 Of course, the XDS City Folding is a great bike without the electrics too, so if you’re just after a great value folding bike, we can offer them for $650.